This Smokey Robinson and the Miracles biography also features later lead Billy Griffin. So I guess plain old "Miracles biography" describes this page more accurately. Wait. Plain? Old?! Let's rewind. In mid-1950s Detroit, there lived Five little Chimes--well, maybe not so little since they were then high schoolers. Their names were James Grice, Donald Wicker, Clarence Dawson, Warren Moore, and William Robinson. The winds of change blew away the first three youths. Ronnie White and cousins Emerson ("Sonny") and Bobby Rogers swept in to replace them. At this point, the group became the Matadors--sturdier-sounding in name if not music. When another draft (the war kind) removed Sonny from the group, his sister Claudette stepped in. In 1957, they tried out before the manager of red-hot Jackie Wilson. No dice. Luckily, witness Berry Gordy trailed after the dejected rejectees and asked to hear more, specifically from "Smokey." The singers soon slipped under Gordy's wing and a new name: the Miracles. Their first single, a 1958 answer record to a Silhouettes song, had an apt title: "Got a Job." That's what Primettes guitarist Marv Tarplin snagged with the group, too, after the future Supremes informally auditioned before Smokey. Although the Miracles bumbled through their first live performance, the shy, eager teens entered the fast track when Gordy established the Tamla and Motown labels. "Shop Around" rocketed to the top of the R&B and pop charts and the Miracles began their ascent. At Motown, the singers learned to juggle sparkling ballads like "You've Really Got a Hold on Me," "Ooo Baby Baby," and "The Tracks of My Tears" with sportier tunes like "Mickey's Monkey" and "Going to a Go-Go." With their juicy harmonies, newfound athleticism, and Smokey Robinson's lofty tenor, they proved their worth on the world stage. Changes had kept brewing, however. A year after marrying Smokey, Claudette withdrew from touring, but still pitched in vocally on records. 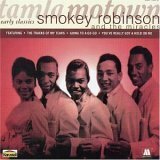 In 1965, the group became Smokey Robinson and the Miracles, cementing the lead's individual stardom. Hits like "I Second That Emotion" and "The Tears of a Clown" followed. But it was only a matter of time before the group's biggest adjustment. In 1972, Billy Griffin filled in for Smokey Robinson. With the 20-year-old falsetto, the Miracles stayed productive, sending "Do It Baby" and "Don't Cha Love It" up the charts. They got huge numbers with "Love Machine" in 1976. That decade, with City of Angels's "Ain't Nobody Straight in L.A." and Love Crazy's FBI-denounced "Spy for Brotherhood," Miracles songs courted controversy as well as ladies. Not so naïve anymore, huh? By then (1977), these Motown singers had become Columbia artists. Soon after, Griffin and Moore split for solo singing and producing, respectively. New Miracles arose in the late 1980s with Bobby Rogers. Sadly, classic Miracles baritone Ronnie White died of leukemia in 1995. But you can still find the group performing in some form. Billy Griffin (or Smokey Robinson) and the Miracles CDs help recapture the glory days, as well. Despite their awkward beginnings, the real "miracles" were not the singers' successes, which they deserved. Their lovingly performed Motown oldies showed that popular music, so fraught with frivolity, could also be pure magic. 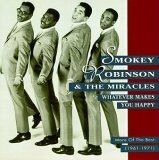 Want more content like this Smokey Robinson and the Miracles bio? Scroll down the homepage for my complete set of Motown artist bios!